Welcome to our part of the South, where the towering timber of the pine belt meet the bayous of Louisiana. We love the unique way of life found only in Southwest Mississippi and have been selling the best our area has to offer since 2006. Southwest Mississippi offers a unique blend of Mississippi and Louisiana cultures that can't be found anywhere else. Our area has long catered to the Outdoorsman, but also offers championship golf, an active arts community, a variety of sports and other outstanding recreational activities. If you hunt or fish, you will not be disappointed. 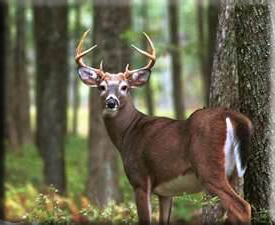 Southwest Mississippi has long been known for fantastic deer and turkey hunting on private lands, as well as federal lands, such as the Homochitto National Forest. Across Southwest Mississippi, you will find several large lakes used for summer recreation and tournament fishing including: Lake Tangipahoa at Percy Quin State Park, Lake Lincoln, Calling Panther, Lake Okhissa, Big Bay Lake, and Lake Mary. Cabin & Creek Real Estate offers country homes with land, homes in town, land tracts of all sizes, and the best in recreational properties. We can help you find your dream home, second home, or weekend getaway property. 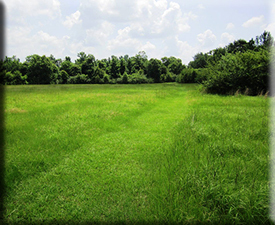 If you are in the market to buy land for recreation, we have you covered. If you are looking to invest in timberland, farm land, or land for development, no one knows this area like Cabin & Creek Real Estate.